Genie Milgrom receives hundreds of emails like this one every year. They pour in from Brazil to Bolivia, from Peru to Portugal. Milgrom, president of the Society of Crypto-Judaic Studies and the Jewish Genealogical Society of Greater Miami, responds to each message. She has traced her own unbroken maternal lineage back to a Jewish family in Fermoselle, Spain, that was forced to convert under the iron fist of the Inquisition but secretly maintained Jewish practices. (Jews who converted under threat are anousim, their descendents are b’nei anousim; they are also called crypto-Jews or Conversos.) Born in Havana, Cuba, and raised Roman Catholic in Miami, Milgrom, 59, tracked her family roots to 1480 through Inquisition records and went on to document her findings in two books: My 15 Grandmothers and How I Found My 15 Grandmothers: A Step by Step Guide. An Orthodox Jew who converted when she was 35, she has made it her mission to help lead others “out of the ashes” of history, she said. Doreen Carvajal, 58, is a Paris-based New York Times reporter whose memoir, The Forgetting River: A Modern Tale of Survival, Identity and the Inquisition (Riverhead), documents her journey from Costa Rica, where she was born, to Segovia, Spain. At the National Historical Archives in Madrid, Carvajal found transcripts of the 15th-century show trial between a family member who was a Converso bishop and Tomas de Torquemada, the first Spanish Grand Inquisitor. Dozens of witnesses and neighbors testified against the family for actions as banal as eating adafina, a slow-cooked stew (a Sefardic cholent). “Now that I understand what happened, I treasure the perseverance of my ancestors to protect their beliefs,” Carvajal says. “When I face my own struggles, I think of what they achieved.” She is now seeking formal conversion. Hector Garza. Photo by Peter Svarzbein. “The b’nei anousim…are a living, breathing phenomenon…men and women…who are eager to forge anew their links with the Jewish people,” says Michael Freund, founder and chairman of Shavei Israel, a Jerusalem-based group that assists “lost Jews” to return to the Jewish people. “After so many centuries we have the opportunity and the moral, religious and historic responsibility to open the door for them.” Shavei Israel has emissaries in Spain and Portugal, and recently expanded its outreach to southern Italy and Sicily as well as to El Salvador, Chile and Colombia. Its Machon Miriam center in Jerusalem prepares hundreds of b’nei anousim for conversion each year. The potential for the Jewish community is staggering. 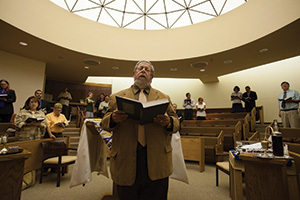 No exact demographics exist, but scholarly estimates of Jews lost to Judaism during the Spanish and Portuguese Inquisitions, mostly through forced conversion, range from 200,000 to 800,000; their descendents number in the millions, says Rabbi Stephen A. Leon of Conservative congregation B’nai Zion in El Paso, Texas, which has become a magnet for b’nei anousim all over the southwestern United States. “The story of the crypto-Jews is still the biggest secret in the Jewish and general community,” says Leon. But it is beginning to go mainstream. Leon, whose grandparents were Ashkenazic but whose ancestry is Sefardic, spearheaded the opening of the Sephardic Anousim Cultural Resource Center in El Paso last summer. Organizations like Bechol Lashon and Kulanu, which advocate for Jewish diversity, have taken up the cause. Colombian-born Juan Mejía, a Conservative rabbi in Oklahoma City, and Brazilian-born Jacques Cukierkorn, a Reform rabbi in Overland Park, Kansas, who has established the first virtual Spanish synagogue, are also helping b’nei anousim return, especially through Internet outreach. Children of the inquisition, a multimedia and documentary project in production, follows a group of b’nei anousim on their quests and explores how forced conversions shaped history and convoluted identity. “This is a ‘relook’ at history that could only happen today,” says Children of the Inquisition director Joseph Lovett, a former director-producer for ABC’s 20/20. 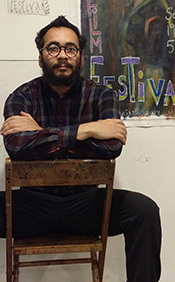 Rabbi Stephen Leon. Photo by Peter Svarzbein. 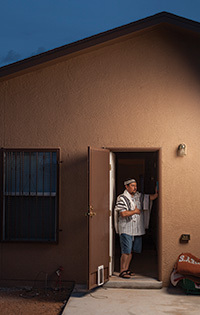 In El Paso, Leon has converted about 60 families. Twenty percent of his congregation of 350 is of Converso descent; they are active members and many want to make aliya (see sidebar, page 21). Leon ventures that 15 percent of the Latino population in the Juarez-El Paso area, numbering almost three million, has Jewish roots. Through his initiative, United Synagogue of Conservative Judaism passed a resolution in 2009 that Tisha B’Av—the exact Hebrew date of Spanish expulsion in 1492—be a day of commemoration. Milgrom is one of the few who has received a certificate of return (granted to born Jews) from the Israeli rabbinate after her research was verified by Inquisition scholars. She was adamant to prove she had already been Jewish. “I was told I had been made Jewish by conversion so they couldn’t make me more Jewish,” she says. The isolation increases hundredfold when b’nei anousim live without access to an organized Jewish community. Nearby rabbis may not accept them. Some learn with rabbis on the Internet or even get involved with Jews for Jesus. When he adopted a Jewish lifestyle, his Catholic neighbors broke his windows and stained his walls with swastikas. But Ramirez Calderón has refused to leave the town one of his ancestors founded in 1595. 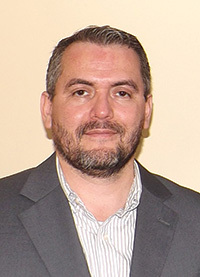 He studies long distance with Rabbi Benjamin Viñas, founder of the Torat Emet Jewish studies and spirituality center at Lincoln Park Jewish Center in Yonkers, New York. “I want to walk with my head held high as a free Jew,” he says. Hello! Just wanted to add that I found out recently through DNA testing that I have 3rd cousins that are born again in Yeshua, Ashkenazic Jews. 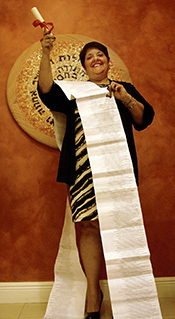 I was made aware of my Jewish ancestory, several years ago, but didn’t have a paper trail. I know that I could continue and find a more detailed history of my Jewish ancestory, but I am content knowing and having a beautiful and life changing relationship with the Messiah that all Jews are waiting for, Yeshua, also known by the Greek translation of His name, Jesus Christ of Nazareth. Thank you for this wonderful site!! forget it Kari. you have the wrong messiah. Jesus does not belong to we jews who struggled to survive in spite of conversion efforts throughout our history. Congratulations, Rachel. Another aspect of the story of Anusim relates to chocolate, as unwrapped in On the Chocolate Trail: A Delicious Adventure Connecting Jews, Religions, History, Travel, Rituals and Recipes to the Magic of Cacao” from JewishLights.com. Lots of other interesting tidbits about how Jews/ Conversos in New Spain used chocolate for kiddush, for meals of consolation and other special occasions, including historical and contemporary recipes, may be found there. yourself to continue your great posts, have a nice day! Of course, there millions upon millions. The hope though is the Bnei anusim movement is not hijacked by missionaries. I mean, they were forced to become Christian, the honor would be to return to Judaism not hybrid the two.